Autoblog's Jonathan Ramsey got a chance to put some time into a 2015 Nissan GT-R, and lets us know his impressions of the car. So far most people say the car is more refined. 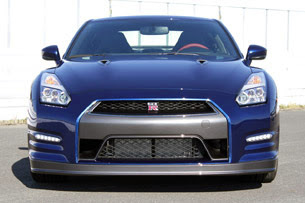 He goes a bit deeper into the Nissan GT-R mentioning the history of the car, that lots of people may not be aware of. In the standard car, much of the work was done on the suspension, the aim being to better balance the apportionment of load between the four wheels. It was given a longer stroke and a new front stabilizer, spring rates were adjusted, bushes were revised and the electronics controlling the shock absorber valves were recalibrated. The primary result of that was more grip, the secondary – and maturing – result was a smoother ride that didn't need antsy hands on the steering wheel in order to keep a straight line. Check out the video below, and the rest of the pictures and article at Autoblog.